The Trust welcomes members of the public to make an appointment and access the diverse range of collections we hold. A Reading Room is available by advance appointment at The Grange free of charge to researchers who wish to consult collections held by the Trust. Here, Trust staff are available to help you find the material you are looking for, whether it is for academic research or for local, family or business history or personal interest. The wealth of collections can support a range of research across local and family history, the history of Clarks and the shoemaking industry, costume and fashion history, Quakerism in Street and social history. It is essential that you contact the Trust in advance of any planned visits so staff can ensure that material of relevance is available and a member of collections staff is on site to help you during your visit. Some collections are stored off-site and may require a minimum of 48 hours’ notice before availability. Please bring some photographic ID and proof of current address with you. On your initial visit, you will be asked to register as a reader by completing a Reader Registration Form. Completion of the Reader Registration Form confirms your awareness of our Handling Guidelines for the archive and object collections. Please read these carefully before or on arrival as observing these helps the Trust to preserve the collections for future generations. Many items in our custody are old and fragile and need extreme care whilst being used. Balancing preservation and access considerations is a major priority for the Trust. After you have registered, Trust staff will be able to advise on the material that you wish to consult. Due to commercial sensitivities and to data protection and copyright legislation, some items are closed to the public. Please speak to one of the Trust staff if you have any queries on this topic. It may be possible to photocopy or photograph items of interest during your visit and a range of charges cover the various options, which are outlined in detail in the Trust’s service charges leaflet. Always check with a member of staff before undertaking any reproductions. Trust staff will be able to advise on whether it is necessary to complete any permissions forms. The Trust also provides a reproduction and digitisation service offering physical and digital copies of objects and archives held in the collection. Items can be digitally photographed or scanned using archival standard equipment by professional photographers in the inhouse studio. High-quality digital images can be provided in a range of file formats and resolutions to suit the nature of the request. 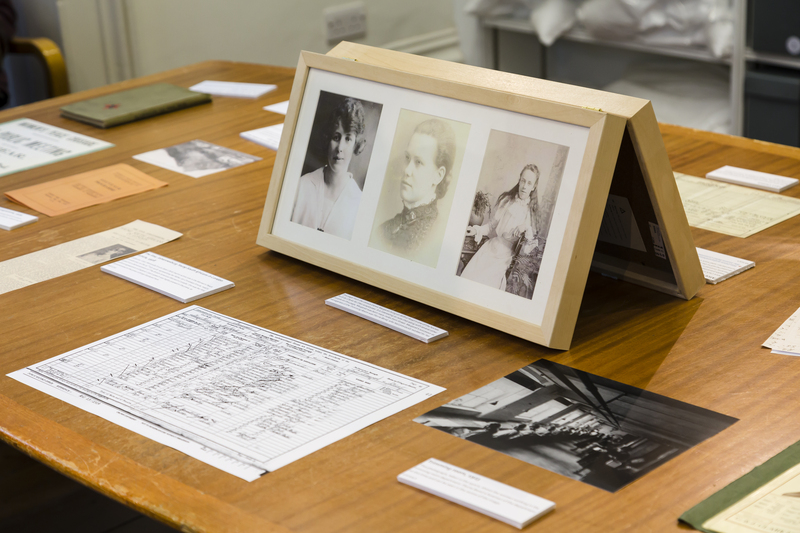 If researchers are unable to consult the objects or archives required in person, the Trust can operate a research and copy service on their behalf, with the first hour of research offered free of charge. Please see service charges leaflet for options and contact us to discuss your proposed research topic. In recent years, the Trust has lent items from its collections to other museums for exhibition, engaging with new narratives and wider audiences. Over the course of 2019, staff will be working on behind-the-scenes collections projects, ensuring that the objects and archives are better cared for and ultimately more accessible. In order to dedicate the required time to this work, the Trust will not lend collections in 2019. Further information about the standard terms under which the Trust lends collections can be found in our Loans Policy.